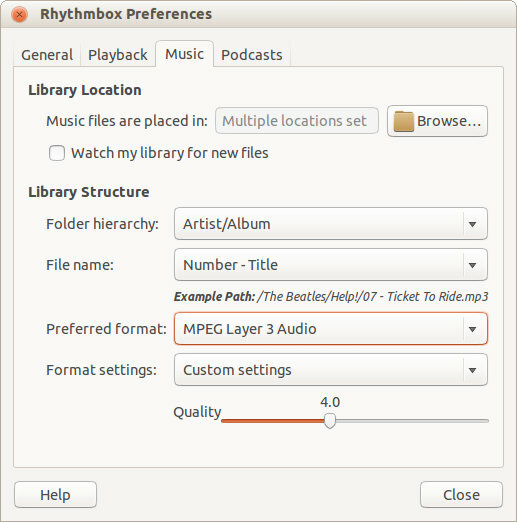 Another fill-in required to address the audio output presets in Ubuntu. If you use Sound Juicer (aka CD Extractor) or Rhythmbox music player to output audio in various formats, you may be wondering where the options have gone. In Edit - Preferences, the Settings button is either greyed out or missing completely. 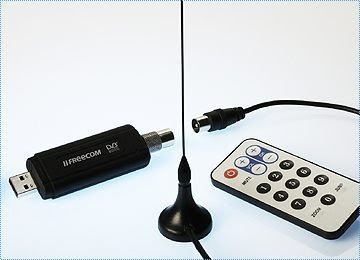 So there is no user control to adjust encoding for ogg, mp3, mp4. If you're lucky, the output list will have a couple of standard options - but for most of us, .mp3 output at a preset 32kbps is not much use! Everyone involved in Ubuntu development is aware of this known bug.This has been going on since 11.10, and is only now being addressed. In the meantime, what about a work-round? What we're looking for are working GEP's and PRS' - Gstreamer Encoder Profiles and PRe-Sets. 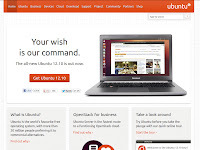 Much as I evangelise about Ubuntu, Linux and the Open Source ethos, help out with testing on Ubuntu Quality team from time to time and report bugs whenever I can, a 'bad Ubuntu day' only serves to remind me that as a product, it is simply not ready for mass-market, main-stream adoption. It needs a baby-sitter with expert knowledge in order to keep it running 24/7 across whatever hardware you want to run. Change something and there is absolutely no guarantee it will keep running. You have to be an enthusiast with time on your hands and a good number of working braincells. So, with two weeks in which to reflect after the latest 12.10 release, here are the pet hates in no particular order. 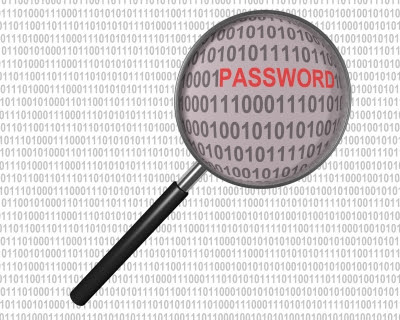 Invalid settings detected : the value of the Host field on the Proxy page is not complete. 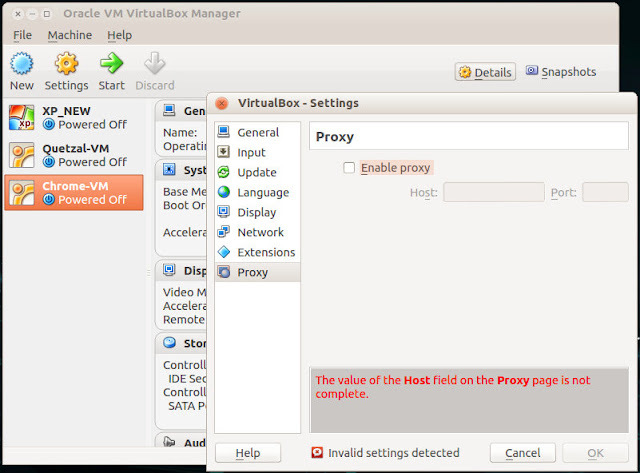 Which is quite right; I don't use a proxy, and I suspect 95%-plus of VirtualBox users don't either. Going to File, Preferences, I find the Enable proxy box isn't ticked. I'm not using it. So the proxy address and port number is empty. Why that is now a mandatory error condition I have no idea. The old Dell 6400 finally showed its age when I tried to play a full HD, .mp4 movie; 29 minutes in, my five year old workhorse gave up. Time for a desktop replacement. I ruled out another Dell, Toshiba and Compaq/HP. Having been recommended Lenovo as solidly built workhorse machines earlier in the year I decided to go that route. With a fixed budget in place, I scoured for a decent Quad-core i5 with 6GB or more ram, and as much disk as I could get - 750GB being the best. 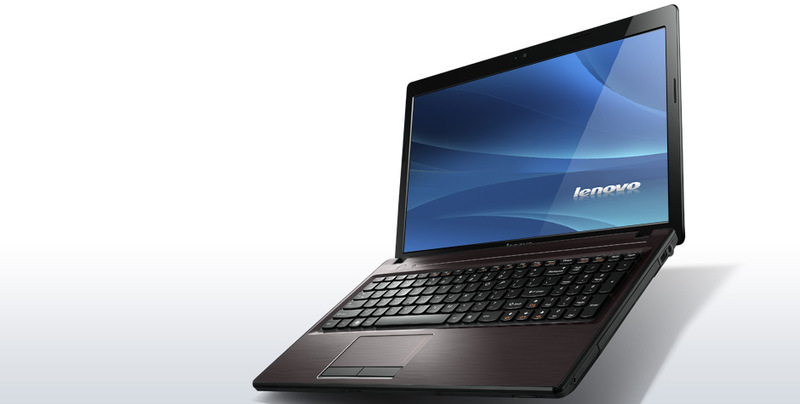 I settled on the Lenovo G580 on a promotional offer - £429 with delivery and yes, even with a discount, UK prices are still eye-watering. The "Essentials" G-series has no frills, is available in a wide range of specifications with USB 3.0 and Core i3, i5 and i7 processors. Prices vary wildly. Be extremely careful to ensure you compare like with like.